Providing the best education to the students we serve is the goal of not only every Catholic school in the Archdiocese of Baltimore, but likely that of every charter, parochial, public and non-public school. Education is a personal gift, a civic treasure, and one the Catholic Church places great value in offering the children of Baltimore as it has done for over 200 years. Unfortunately, that is not the message that came through in today’s Baltimore Sun article which reported on a recent decision by the Archdiocese to decline the offer of Baltimore International Academy (BIA)–a dual language charter school looking to expand–to purchase a former Catholic school building in Northeast Baltimore. The Archdiocese chose not to place another school at St. Anthony of Padua, the site of a Catholic school that closed in 2010, because to do so would be to threaten the viability of several nearby Catholic schools (12 within a seven-mile radius), including our new Catholic dual language school, Archbishop Borders Catholic School. Our decision not to make this particular property available to BIA does not mean the Archdiocese is opposed to charter schools or other non-Catholic schools operating at our facilities. In fact, it could not be further from the truth. Some 18 Catholic properties have or have recently housed charter schools or Head Start programs. Further, in just a few days the Archdiocese will announce the sale of a former Catholic school building in South Baltimore to a charter school. 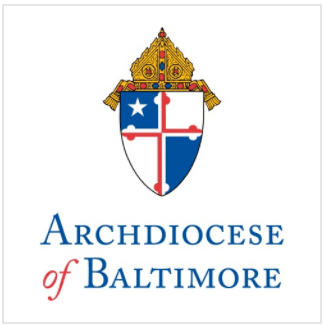 Further demonstration of our commitment to the children of Baltimore can be seen in the agreement reached last fall between the Archdiocese, Shrine of the Sacred Heart Parish and Baltimore City allowing Mount Washington Elementary/Middle School to lease the former Shrine of the Sacred Heart School building. We all have a role in educating children, and we think it is to Baltimore’s advantage to maintain the presence of Catholic schools for many years to come. For that reason, we must make the promotion and strengthening of Catholic schools our first priority, while continuing to work with our educational, government and business partners in the City to ensure every child has access to outstanding educational options.